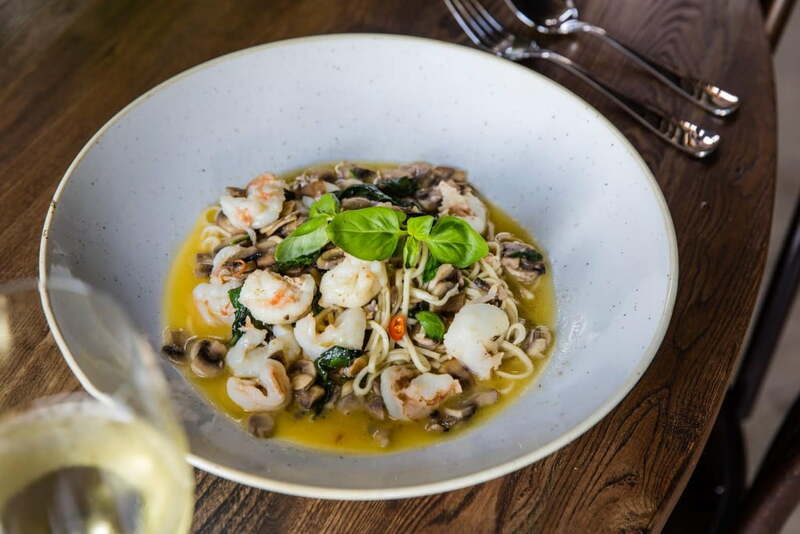 Pasta is the ultimate comfort food and Bar Machiavelli does it well. A large, impressive space with a generous bar area, it’s the sister restaurant of the established Sydney CBD dining icon, Machiavelli. The focus is on antipasti and pasta, with much of the pasta handmade onsite. They score extra points for having a good distance between the tables. There’s nothing more irritating than having a long overdue chat with friends and feeling like the table next to you is almost on top of you. Spaghetti di casa alla Machiavelli (a dish of king prawns, mushroom, garlic, fresh chilli and basil) was a winner. Read more about the story and team behind the restaurant here. Open from 6pm till late, Monday to Friday and from 4pm till late on Saturday. 10 Nield Ave, Rushcutters Bay, Sydney. Visit their site which also takes online bookings here. Season 2 of the Invisibilia podcast is due to drop on 17th June so I’m giving you time to get up to speed and listen to season 1. Invisibilia (Latin for invisible things) is about the invisible forces that control human behavior – ideas, beliefs, assumptions and emotions. It interweaves narrative storytelling with scientific research that will ultimately make you see your own life differently. I don’t have a favourite. I found all of them outstanding so start at episode 1 and work your way through all six of them. They are around an hour each. Where will you find the time? Just go to bed an hour earlier and pop your headphones in instead of watching rubbish on TV. Listen, subscribe or find out more here. The Modern Love podcast is derived from the weekly reader-submitted essays in the New York Times that explore the joys and tribulations of love. Each episode is read by a familiar voice including Judd Apatow, Colin Farrell, and January Jones. It’s followed by a conversation with the essayist about what’s happened since and how the writer feels about the story now. The episode I found simultaneously heartbreaking and uplifting was My First Lesson in Motherhood read by Connie Britton (Friday Night Lights). Her voice was the perfect fit for this story. Most of them are around 20 minutes. Listen to Modern Love at iTunes, Stitcher, wbur.org, NYTimes.com or the podcast app of your choice. Read the essays here. Good Night Stories for Rebel Girls is a children’s book that reinvents fairy tales, inspiring girls with the stories of 100 great women from Elizabeth I to Serena Williams. They are true and diverse stories of strong, creative, powerful women. The book has clearly hit a nerve as they just marked one week from the beginning of their Kickstarter campaign and reached $200K (or 500% of their funding goal). The creators of the book are the brains behind Timbuktu labs, which is dedicated to female empowerment with projects like a young girls’ magazine, several books, and a toolkit to help under-resourced schools to build their own playgrounds. Learn more about the book at it’s Kickstater page. Emma Watson using her powers for extreme goodness. Her dress was a collaboration with Calvin Klein and Eco Age and is made from recyclable materials. “The body of the gown is crafted from three different fabrics, all woven from yarns made from recycled plastic bottles (!). Plastic is one of the biggest pollutants on the planet. Being able to repurpose this waste and incorporate it into my gown for the ‪#‎MetGala‬ proves the power that creativity, technology and fashion can have by working together.” Love this. Read more about who was involved in the Green Carpet Challenge this year here. There’s nothing like having “Bring a dessert!” sprung on you last minute (attention to detail is not my husband’s forté). Such was the situation I found myself in yesterday so I went straight into auto pilot with this never fail tasty treat. A few people have asked for the recipe so here it is. All you need is 3 mandarins, 250g caster sugar, 6 eggs, and 230g ground almonds: simmer the mandarins whole (including skins) for 2 hours in a saucepan with water (adding more water if necessary to keep them covered). Preheat oven to 160°C. Drain mandarins and cool to room temperature. Once cooled, split open and remove any seeds then puree the mandarin flesh and skins. Whisk eggs and sugar in a large bowl until combined. Add ground almonds and mandarin puree and stir thoroughly. Pour mixture into a well-greased 24cm (9 inch) springform cake tin and bake for 1 hour 10 minutes. Remove from oven and allow to cool in tin. Serve with cream and berries. I’d like to claim this recipe as my own but it’s courtesy of Bill Granger. Thanks for the deliciousness, Bill.